"The original Artisan Sound mastering is masterful and if you have a clean one, you're all set. This reissue is not quite as transparent but the inner detail resolution is superior as is the bottom end. If I had to guess which album(s) were cut from 'best available' as opposed to master tapes I'd pick this one simply because the top end is not as open and airy. If you don't have an original you won't know you're missing something, and you are getting inner detail and bottom end weight the original lacks." 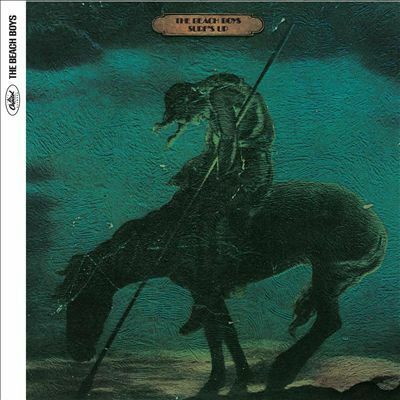 — Michael Fremer, AnalogPlanet.com..
"These are the best sounding and best-looking versions of the Beach Boys records that have ever been produced. We want everything about these to be better than the original." A musical legacy that began in Hawthorne, California and went on to conquer the world. Analogue Productions presents the ultimate pressings of 14 essential Beach Boys albums! Mastered by Kevin Gray, most from the original master tapes, and plated and pressed by Quality Record Pressings, the finest LP pressing facility in the world, these are awesome recordings to experience. And the look of each album befits its sonic superiority! Presented in "old school" Stoughton tip-on jackets, these time honored favorites shine brighter than the originals! Worth noting on Surf's Up is Stephen Desper's engineering work — the entire album was mixed to a center channel quad matrix that he was developing at the time. Surf's Up hit the Top 30 on its first release, reaching No. 29 on the Billboard LP charts — the highest chart placement the group had had since 1967. At the time of its release, Surf's Up was hailed by many as a comeback for The Beach Boys, who were beginning to attract raves for their live performances, including highly acclaimed sets at New York's legendary Carnegie Hall. Surf's Up track "A Day in the Life of a Tree" is the first in a series of Brian's songs that close the album. It's simultaneously one of Brian Wilson's most deeply touching and unusual compositions; he is the narrator and object of the song (though not the vocalist; co-writer Jack Rieley lends a hand), lamenting his long life amid the pollution and grime of a city park while the somber tones of a pipe organ build atmosphere. "Til I Die," isn't the love song the title suggests; it's a haunting, fatalistic piece of pop surrealism that appeared to signal Brian's retirement from active life.